Where do we as engravers meet production bottlenecks in our daily engraver’s life? Sometimes speed matters and others it’s services, we can’t offer. Often orders are too big to be handled, or the quantities are too high to be processed in the given time, because production capacities and capabilities are limited. With volumes becoming higher and tight deadlines being a daily business requirement, the challenges in the engraving business have changed enormously in the last decades. And the business keeps changing. The market and the customer demand flexibility from suppliers; meanwhile, the engraver has to keep an eye on the profitability of his/her business. Being successful requires meeting the needs of customers and being profitable at the same time. Having high laser power of your laser system helps you to break the limitations you might meet now. Many in the laser market have been told that a laser system with 25-30 watts is sufficient for all engraving jobs. In some cases, the decision is based on budget or the laser user believes that his application—for example with sensitive materials—can only be produced with a low-wattage machine. This assumption is very common and widespread. What is not that prevalent is that high laser power has clear advantages and strong benefits. Higher power means more profitability for the engraver. 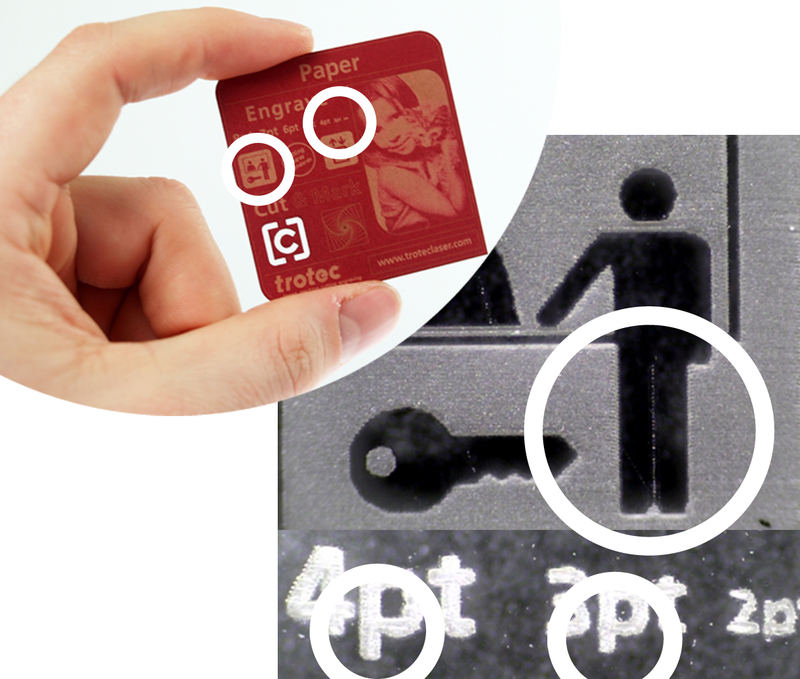 Generally, you can say that more laser power means more productivity and more flexibility for almost all laser engraving and cutting applications. In laser theory, engraving and cutting speed increases linearly to increasing laser power. That’s true for non-heat conductive materials like rubber, wood, stone, ceramic, tiles, glass and any plastics—which means acrylics or laserable plastics. In these cases, more laser power enables the laser user to process his/her materials faster. In practice: Comparing a 30-watt system with an 80-watt system, the results are quite impressive. With an 80-watt system, an A4 rubber sheet with 48 rubber stamps on it is engraved and cut in 1:01:45 (See Photo 1); in this time a 30-watt system completes only 40% of the engraving area (See Photo 2). It would take the 30-watt system 2:15:06 to finish the engraving and cutting of the whole A4 sheet. In the time saved, you can work on the next jobs and be much more productive. On acrylics, the benefit of high laser power is very obvious. A rule of thumb says 10 watts provides the ability to cut 0.04 inch thick acrylic. E.g. 30 watts would give perfect cut quality and good productivity on a 1/8 inch sheet of acrylic. If you increase the laser power to 80 watts, you can process 5/16 inch perfectly in the same time as 1/8 inch with 30 watts. In addition, you can process the 1/8 inch more than two times faster with the high-power system. Now let’s take a sample application: Acrylic dimensional lettering with flame-polished edges; a sheet of acrylic, 36x24 inch, 5/16 inch thick, fully nested with 64 pieces of 4 inch tall letters. On a 30-watt system, this job would take 4:18:00; the 80-watt system will cut it in 1:47:00 (See Photo 3). Those were two good examples of “laser power hungry” applications. But high laser power also counts when it comes to engraving and cutting low-power applications like engravable plastics, engraving heat-conductive materials like anodized aluminum, or marking stainless steel with Thermark. 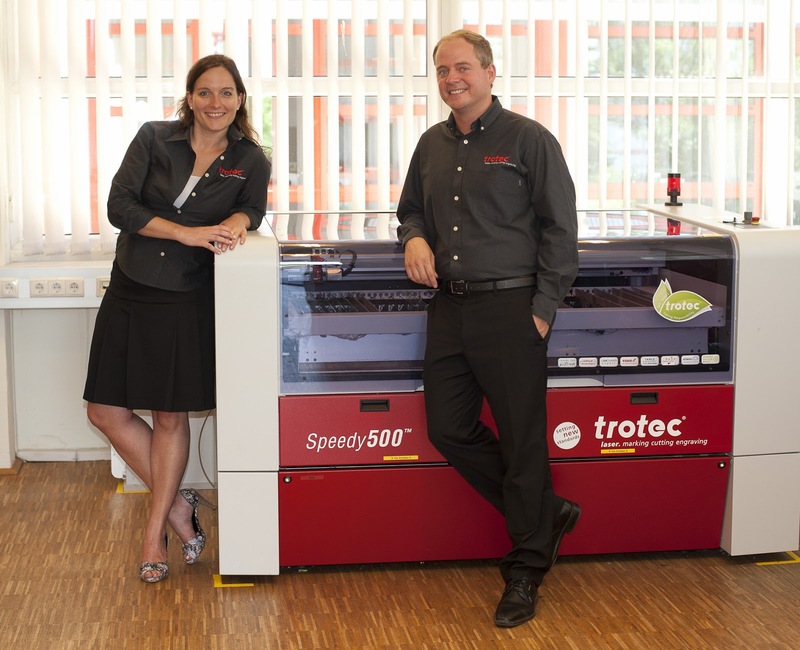 Increasing laser power means increasing productivity. Now, the assumption might be that sensitive materials can’t be processed with high laser power and that applications like engraving FlexiBrass or paper are restricted to low laser power. But that is not the case. Photo 4 and Photo 5 show two sensitive applications, both processed with an 80-watt system. The engraving quality is spotless, and the high laser power does not show any negative effects. Major clients and key accounts demand more than one application from their engraver’s shop. They need various laser-engraving services and personalized gifts, and they need variable quantities: from single pieces to large numbers. Serve as a full-service provider and deliver high volumes in a short period of time. With a certain level of laser power, at least 80 watts, you will have this flexibility and be prepared as a laser user for the needs of the future. Moreover, our experience shows that most Trotec customers who buy a second laser system decide to increase the power level for the second order. The trend is to go for more laser power. Alexander Jauker has been with Trotec for five years and is responsible for product management of Trotec’s flatbed line. His focus is on seeking new trends and market insights in order to be able to provide the best flatbed laser systems in the industry.